Our locksmith showroom has the new and used equipment you want. This includes a selection of burglary, fire, and gun safes. In addition, our experts can open and repair or reset the combination of your existing safe. We have the largest selection of new and used safes in stock. There are over 40 different styles to choose from in our showroom. Large selection of new and used safes whether your home or business is in need of safes, you can count on us. This includes a selection of burglary, fire, and gun safes. In addition, our experts can open and repair or reset the combination of your existing safe. 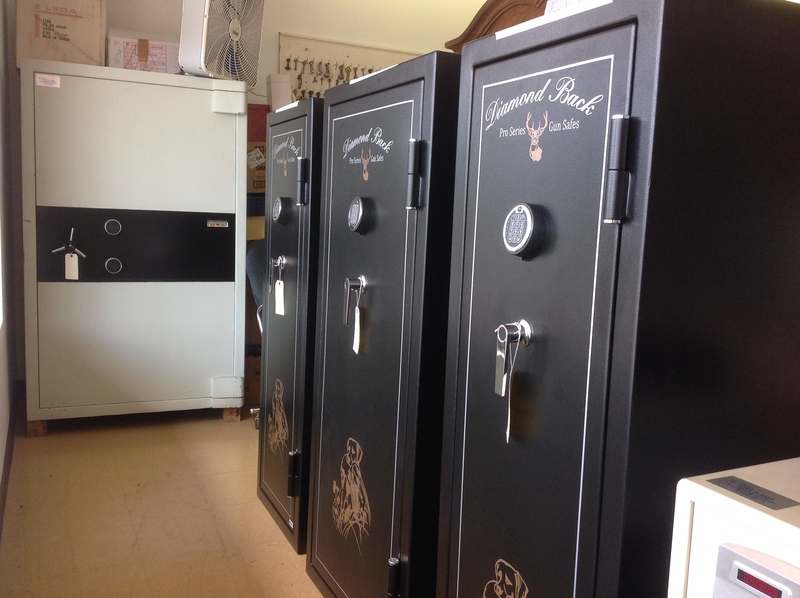 We have one of the largest selections of new and used safes in stock. There are over 40 different styles to choose from in our showroom. Some of the major brands we care include Hayman Safes, American Security Safes, Schwaab Safes, and Diamond Back Safes. You can count on us for electric locking devices and high security equipment. Let our tools and knowledge is the key to your key to safety and success. Pictures, documents jewelry, and other valuable items can be securely stored in one of our fire and or burglar resistant Safes. Access using electronic keypad, dial combinations makes getting your valuables quick and easy. Our experts are happy to assist you in selecting the right SAFE for your business or home, and making it easy for you we can deliver it to your location. To complement our locksmith services, our company sells, install, and repairs most residential and commercial doors. This includes everything from protected gated doors to the hardware inside a door.